Anna grew up in Casper and began working at Lincoln Financial Advisors in January 2018 as an Assistant to Kathy Sasser and Amanda Branon. She is new to the industry, though she brings a tremendous amount of customer service and problem-solving experience. She has a B.S. Degree from Weber State University in Criminal Justice with an emphasis in Criminalistics and a minor in Spanish. She enjoys learning and prides herself on her integrity and attention to detail. She thoroughly enjoys helping Kathy and Amanda provide comprehensive financial plans for their clients and is thankful for the opportunity to do so. She was a client of Kathy’s for several years prior to working with her so she appreciates firsthand her dedication to helping people prepare for and be in control of their future. Lincoln’s “Serve First Philosophy” really resonates with her as well and she truly believes in the mission. 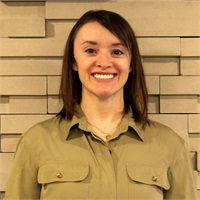 In her spare time, she enjoys eating good food, playing volleyball, camping, hiking, running, reading, and spending precious time with her husband, Brian, their young son, Charlie, and the family dog, Henry.